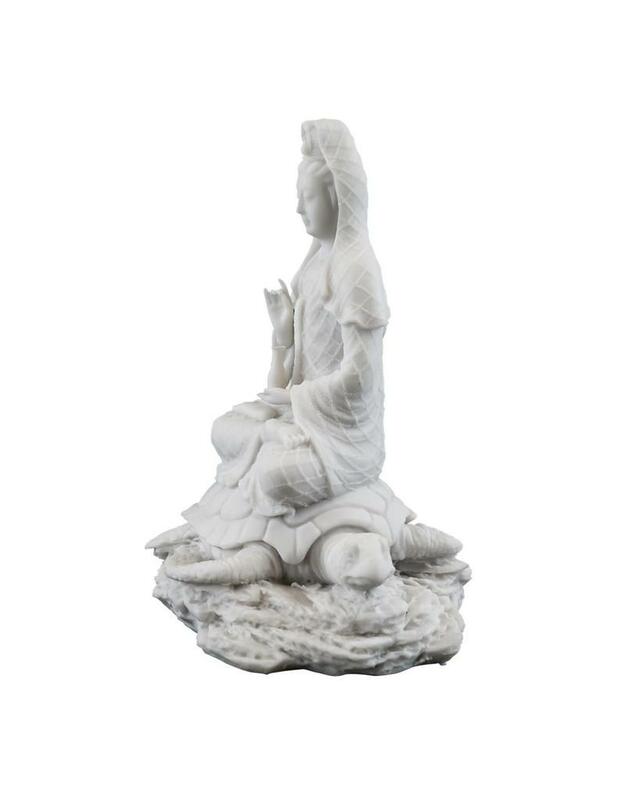 The widely loved Quan Yin is synonymous with the Bodhisattva Avalokitesvara, the goddess of mercy, great compassion, kindness and love. 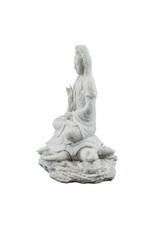 In the Lotus Sutra, Shakyamuni Buddha said that if a suffering being hears the name of Avalokitesvara Bodhisattva and earnestly calls out to the bodhisattva, Avalokitesvara will hear the call and relieve that being from his suffering. 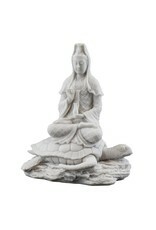 In her hands, Quan Yin may hold a willow branch, a vase with water or occasionally, a lotus flower. 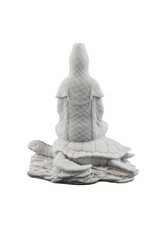 The willow branch is used to heal people's illnesses or bring fulfillment to their requests. The water ( the dew of compassion) has the quality of removing suffering, purifying the defilements of our body, speech and mind, and lengthening life. 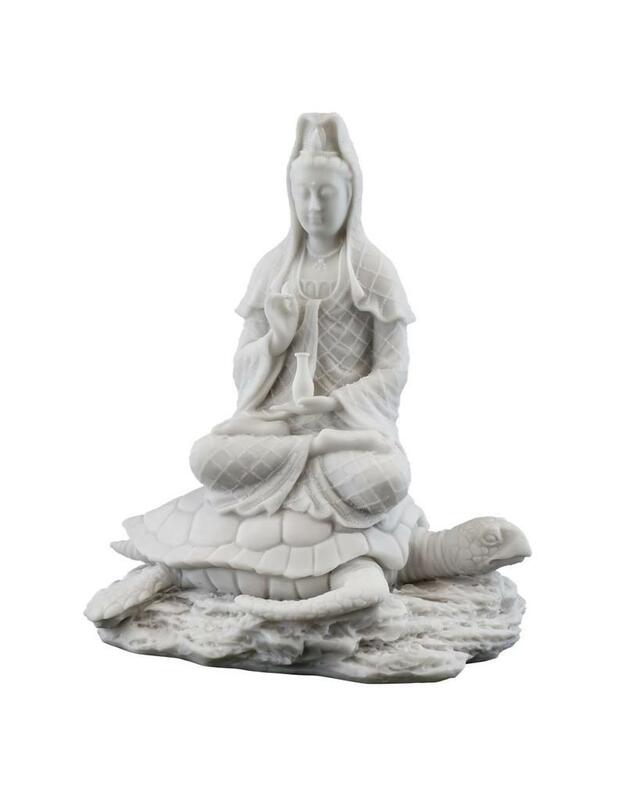 Quan Yin has been depicted in many forms, some inspired by miracles attributed to her. A Tang Dynasty depiction of Quan Yin sitting in the Royal Ease pose, backed by a crescent moon, was made popular from a folk legend where she saved an entire village from disaster (Named the Water & Moon Quan Yin). 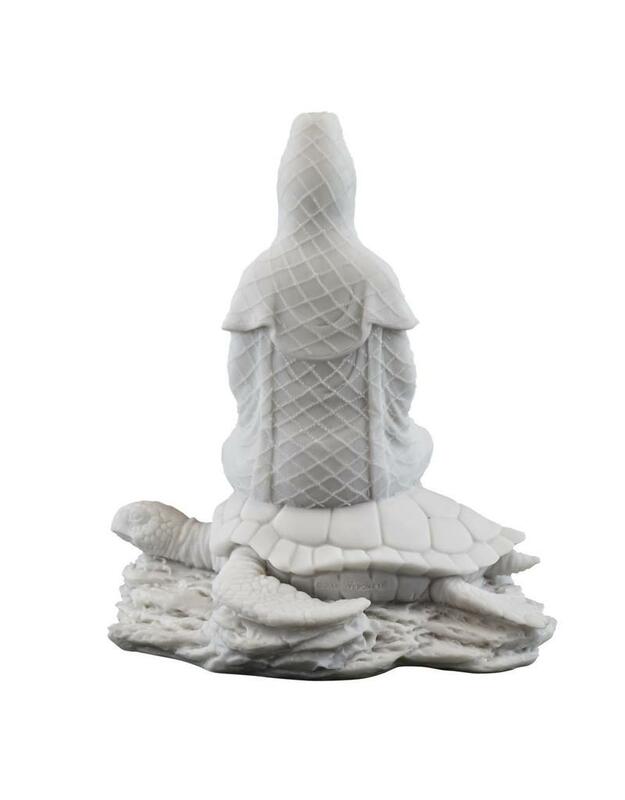 In Buddhist art, Quan Yin is sometimes shown with eleven heads and one thousand hands (Thousand-Armed Avalokitesvara Bodhisattva), a symbol of her aspiration to reach out to any being in any form to help them.